January 30th, 1968 marked the beginning of one of the most significant campaigns of the Vietnam War: the Tet Offensive. Named for the traditional Vietnamese New Year, Tết Nguyên Đán, it was the day the Viet Cong and North Vietnamese Army forces launched their surprise attacks on military and civilian command-and-control centers throughout South Vietnam, including Embassy Saigon. The normal celebratory drums and fireworks were replaced by the sound of gunfire. James R. Bullington served in Vietnam during Tet and spent the weeks during the battle holed up in Hue, not far from VC troops. Bullington recollects how he had to hide in a mission disquised as a priest as he worried about the safety of his bride-to-be. He was interviewed by Charles Stuart Kennedy beginning July 2001. You can also read this account of the attack on the U.S. embassy. Q: Where did you meet your wife? BULLINGTON: She was a Foreign Service National (FSN) employee working at the Consulate in Hue. She was my interpreter when I met with Thich Tri Quang [leader of the Buddhists]…. 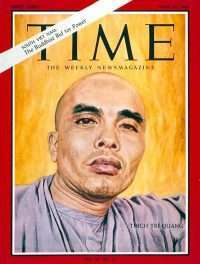 He was well known, had even been on the cover of Time magazine just a couple of weeks earlier. The previous week he had sent a message through me to President Johnson, and I was to deliver that day the President’s response. So I went to his headquarters at Tu Dam Pagoda and delivered the message. Tuy-Cam, who is now my wife, was with me to interpret, since Tri Quang spoke no French. We had developed an interest in each other when I was there. After I went to the Embassy as Ambassador [Henry Cabot] Lodge’s aide, she was transferred to AID [Agency for International Development] in Saigon, and the courtship became more serious. I’d been engaged to a woman in Washington before I left for Vietnam, and the idea was when I finished my tour in Vietnam we were going to get married. But when I finished that first tour and came back I found that she had decided she didn’t like the Vietnam War or anything to do with it including me. Then my courtship with Tuy-Cam really got serious…. 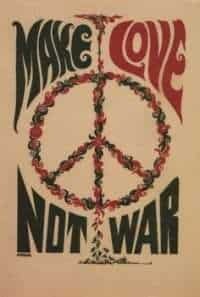 I was in Vietnam until March of ’68. This was my third job in Vietnam. 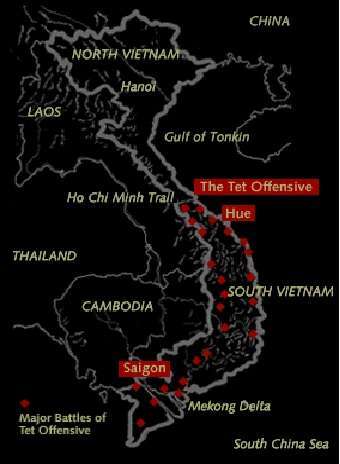 First Hue, and then staff aide to Henry Cabot Lodge, and the third tour I came back to work in what by then was the CORDS [Civil Operations and Revolutionary Development Support] program in Quang Tri province, the northernmost province of South Vietnam. I could have gone other places….But I went back to I Corps, mainly because by this time Tuy-Cam was there. She was in Da Nang, where the U.S. Consulate had been moved after it was burned in Hue. I wanted to be in that region so we could continue the courtship. 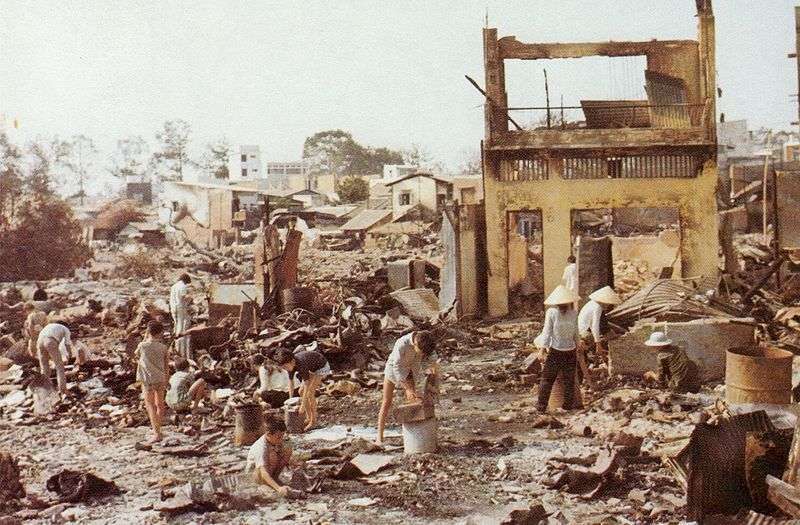 I had quite an adventure during the Tet Offensive. I was working in Quang Tri, but I had decided to go down to visit Hue, to see Tuy-Cam. We were engaged by this time. 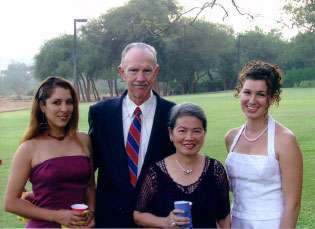 She was working in the Consulate General in Da Nang and had come up to her home in Hue, and I was to come down from Quang Tri, to be with her for her last Tet in Vietnam before we were to be married in March and go off to the U.S. So it was a big deal for her and the family. I had done some favors for a French guy, he was Franco-Vietnamese actually, whose company ran the power plants in Hue and Quang Tri. I had put him on some Air America flights when the roads were blocked. So he had invited me when I visited Hue to stay in a little guesthouse they had at the power plant there. I flew down on the afternoon Air America flight from Quang Tri, arriving in Hue on the afternoon of January 30th, 1968. This proved to be a poor choice of time to visit Hue. I went by the CORDS headquarters, and was able to borrow one of their USAID jeeps to get around town. We’d had some intelligence in Quang Tri that there might be attacks during that period, but it didn’t seem to be anything unusual. There were always attacks of one sort or another. When I got to Hue I asked at CORDS headquarters if anything special was going on, and they said no, though there were some low-level rumors that there might be problems during the Tet holidays. But nobody seemed to be especially concerned. We had dinner that night at Tuy-Cam’s house. We had two other Americans there. One was Steve Miller, who was the USIA [U.S. Information Agency] representative in Thua Thin province, where Hue is located. He had been a Foreign Service classmate of mine. The other was Steve Haukness, who was a friend of Tuy-Cam’s at the Consulate in Da Nang. 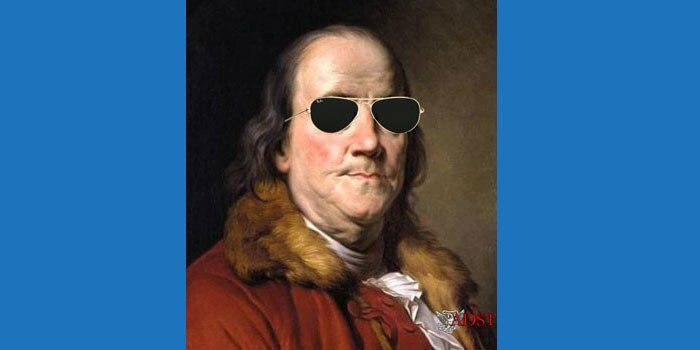 He was a Foreign Service communicator. He had never visited Hue so he wanted to come up to the old imperial capital for some tourism. After a nice Vietnamese dinner at Tuy-Cam’s house, the two Steves went to Steve Miller’s house, and I went back to the power plant, to the guest room, to spend the night. About two a.m., I was awakened by the sounds of incoming mortars. It was evident that there was some serious fighting going on. Of course there wasn’t much I could do about it. I expected that it would be over by dawn. There had never been a North Vietnamese or VC [Viet Cong] attack in a major city where they had come and stayed. It was always a hit-and-run thing. They would get out of town by dawn because by occupying fixed positions in an urban area they became vulnerable to counterattacks. By dawn things had quieted down, so I figured that’s what had happened, they had come in and raided the town and blew up a bridge or something like that and were gone. I walked out of the door of the guest room and across the courtyard into the power plant looking for my French friend. He was in the power plant, but when I got there he said, “Oh, my God, don’t you see what’s happened? There they are!” And he pointed to the other end of the courtyard where for the first time I saw armed men with pith helmets. They obviously weren’t friendlies. My friend said “Get back, get back,” and I did. I went back to the guest room and spent several very anxious hours there. Eventually that afternoon my friend came by and knocked on the door. It was with some terror that I opened that door, not knowing what I would find, but thankfully it was my friend instead of the NVA [North Vietnam Army]. He told me a little more about what was going on. The power plant obviously was a main target of any invading army that’s going to occupy a city. The NVA had set up a command post right there in the power plant, not more than 25-30 yards from the guest room where I was staying. My friend said that it’s not a good idea to stay at the power plant, and I certainly agreed with that. I walked across the courtyard with my heart in my throat. If the NVA soldiers noticed me they didn’t do anything. They probably assumed I was a Frenchman working at the power plant. I passed within 25-30 yards of them. When I got to the other side of the courtyard my friend guided me over some fences, through some backyards to a house where two French priests welcomed me. One, Father Cressonier, had been in Hue for 30 years with the Société des Missions Etrangères, the missionary society headquartered in Paris that was active in Vietnam. The other, Father Poncet, had been at Khe Sahn. Because of the fighting at Khe Sahn he had to leave a few weeks before that and was staying with Father Cressonier in Hue. Cressonier was a big guy like me, and he gave me one of his soutanes, the black gown, and the beads and the whole priestly outfit. So for the next nine days I became a French priest behind the North Vietnamese lines in Hue. For an East Tennessee hillbilly raised in the Church of Christ, that it itself was quite a thrill. A couple of times the local VC cadre came to the door, but they didn’t demand to come in. If they did, the story was going to be that I was a visiting French-Canadian priest. I don’t know whether that would have worked or not, but thankfully we didn’t have to put it to the test. 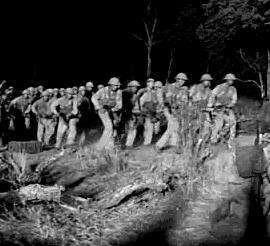 The greatest danger turned out to be the counterattack, especially incoming artillery from friendly forces. The fighting was pretty intense around there, and we saw a lot of refugees and a lot of North Vietnamese units, including one tank, which they had evidently captured from the ARVN [Army of the Republic of Vietnam]. There was a lot of incoming mortar and artillery fire. Father Cressonier’s house was a two-story French Colonial type. When the artillery starting coming in heavily we would all go downstairs, and huddle under the staircase. And thankfully so, because we took a direct hit from what was probably a 105-mm artillery shell. The house became one-story all of a sudden. The second story just was no longer there. But we were downstairs and didn’t get hurt. After nine days of this, the U.S. Marines, working their way house to house in fierce combat throughout Hue, got to where I was, the priest’s house, and liberated me. The company commander was Ron Christmas. He later went on to become a Marine Lieutenant General. I was never so glad to see anyone as Captain Christmas and his Marines. They wrapped me in a blanket and carried me out as if I were a wounded Marine, so the neighbors would not see that these priests had been harboring an American. I had invited, in fact urged, the two priests to come with me to safety, but they had pastoral duties they felt kept them there. There were Catholic refugees they could now get to at a nearby cathedral, several thousand people. They wanted to stay and minister to the flock. The Marines took me to MACV [Military Assistance Command – Vietnam] headquarters. I spent one night there, and was interviewed by reporters. The next day the story of my liberation was on the front page of The Washington Post. In fact that’s how my parents found out about it, through a newspaper report. They’d been told by the State Department that I was missing. They eventually saw the newspaper report from The Washington Post via the Chattanooga paper. After another day at MACV, I went to Da Nang to take a bath, which I hadn’t had in nearly two weeks, and get some food as well as to report in to the CORDS regional headquarters there. After the staff at CORDS debriefed me, I told them I had to go back to look for Tuy-Cam. Even though the house where she lived was no more than 500 yards away from Father Cressonier’s house, there was no way I could get there because it was on the other side of the Phu Cam canal, which was one of the many lines along which the fighting took place. I knew the Marines would eventually get there, so I wanted to go back to Hue. By that time I’d been around long enough and knew the territory well enough to arrange my own travel, so I just went out to Da Nang airbase where I knew the appropriate sergeant. I got on a helicopter back to Hue, to look for Tuy-Cam. When I landed at the helicopter pad, she was there! 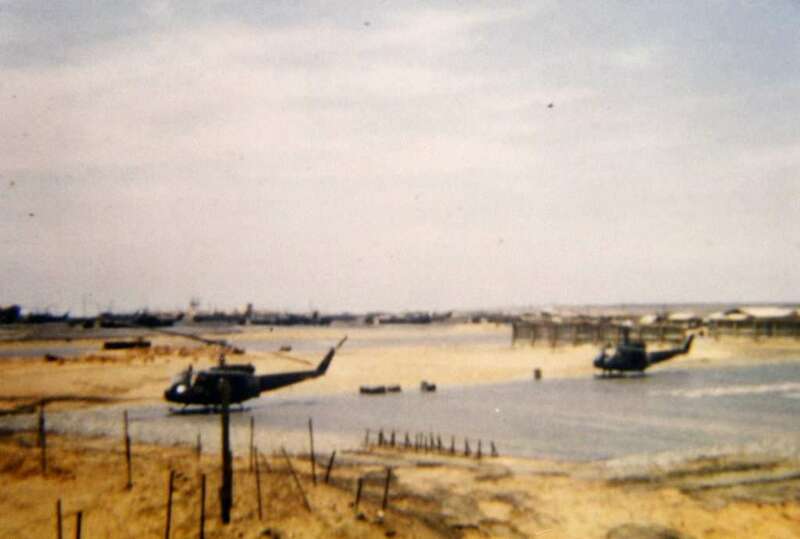 She and her family had just made it to safety that morning, and she had come to the helicopter pad to look for me, and was trying to go to Da Nang. So that’s where I found her. We were reunited on Valentine’s Day at the helicopter pad outside the MACV compound in Hue. Her family was at a nearby refugee camp. She had two brothers who were military officers, one was an ARVN officer and the other was an Air Force cadet. They were both home on leave for Tet. They had successfully hidden in the attic of the house for the first few days. But eventually because of all the incoming ordnance they decided it wouldn’t be safe where they were. The family all left the house and was on the way out of town with other refugees when a group of VC or NVA stopped them and took out all the young males in the group. Tuy-Cam’s two brothers were taken out and apparently shot. They were never heard from again. [Tuy-Cam and I] got married. It was near the end of my tour, in March. We got married at the Consulate General in Da Nang. Before Tet, we had planned a traditional Vietnamese style wedding in Hue, but now we couldn’t do that. We organized the wedding right at the Consulate.